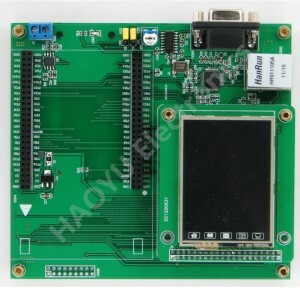 I`m looking for a driver for my TFT based on the ST7783. Is there someone who have already worked on this feature ? Or maybe this driver got the same caracteristic than an other ? but I found an C driver on the web and started to write a new GFX driver for this screen.. But I've got some issue with the Ram alignement (I think). The picture are on the top half of the screen and each line are shift... ??? I'm sorry that I couldn't answer your questions before but there was some after-final exams festival going on >.< But as I can see, you made quite nice without any help. Good work!